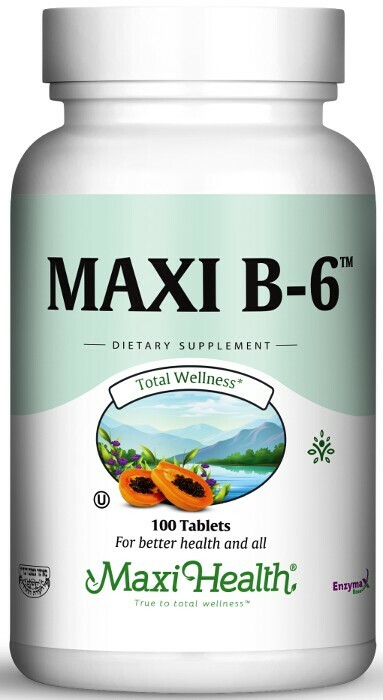 When you think vitamin B6, reach for Maxi B6™. Vitamin B6 (pyridoxine HCl) is known as the master vitamin. It supports the utilization of amino acids that help build proteins and hormones. It also supports formation of neurotransmitters, hemoglobin, healthy function of the digestive and nervous systems and helps maintain healthy skin. To receive the health benefits you desire, try our B6. Take one (1) tablet in the morning or as directed.